Never before has a private security guard jumped out on me when I’ve been snooping around column material but it was not surprising when it happened on this occasion – the press should be kept away from the homes of the rich and famous! To be fair, the tattooed and goaty-bearded protector was fascinated when I told him how a man-made cut of 1760 in the River Adur formed Shoreham Harbour. Who wouldn’t be? It’s quite a story. As a result, I wrote a few weeks ago in my Hove Lagoon piece, the bed of the Adur near its old mouth at ‘The Wish’ in Hove silted up and later became the Western Lawns, Hove Lagoon and part of an industrial estate. Plans were approved in 1908-9 for a series of exclusive beach residences on what had once been the west side of the river Adur but is today in Hove (well, Aldrington actually). The developer was Michael Paget Baxter, the Lord of the Manor of Aldrington (and later the Lord of the Manor of Lancing). 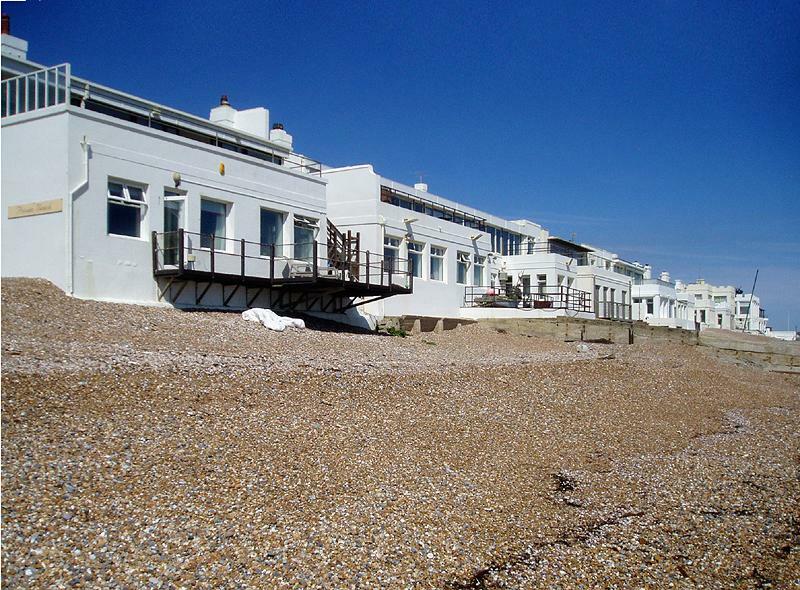 The row of what is now eleven houses was originally called Aldrington Beach Bungalows then Seaside Bungalows and then Hove Seaside Villas. 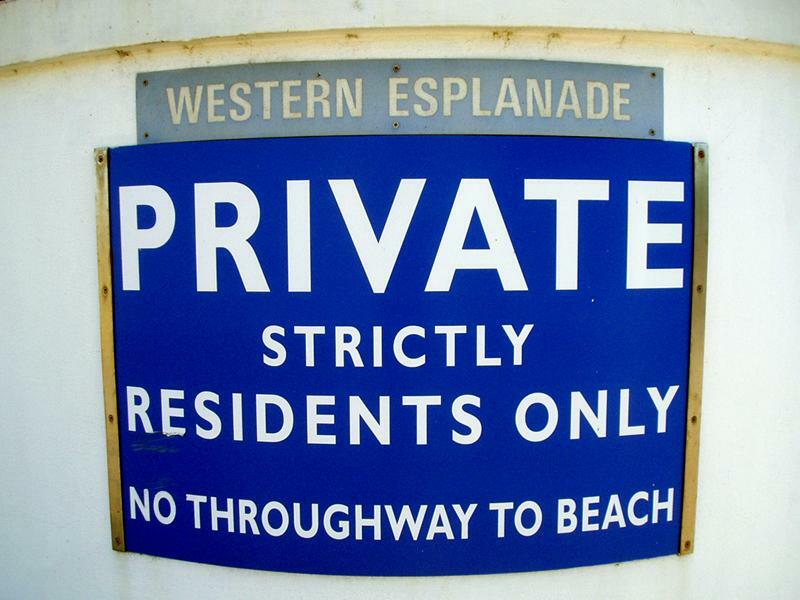 Today it is officially called Western Esplanade but locals call it “Millionaires’ Row”. The buildings took ten years to complete and particular attention was paid to their foundations as it was feared that they could be washed away in a storm which also explains the concrete walls that are twelves inches thick. None of the houses are the same but common features include white paint, battlements, walled front gardens and a shared private beach. Private coastline, incidentally, is a source of national contention. Famous residents include Heather Mills-McCartney, Zoe Ball, Fatboy Slim and Nick Berry. Paget Baxter himself lived at No. 1 which had around twelve bedrooms but was later split in half. Each house obviously has excellent views to the south but to the immediate north there is, somewhat strangely, a thriving industrial estate. One of the houses (that of Baxter’s grand-daughter, June Penn) has been on the market for a little while now for over £3 million! I’ve tried without success several times to arrange a viewing for myself so that I could write a column; obviously assisting with the sale process. I haven’t heard back as I write. Perhaps they don’t want to sell – I can see why!